Recovery from an injury can be difficult. However, certain types of injury, such as a brain injury can have consequences that last a lifetime. A brain injury is considered a traumatic injury because of the potentially devastating effects it can have. As the central control center for the body, the brain plays a very important role in the body. As such, any injury to the brain can greatly affect the way the entire body functions. A personal injury attorney can seek personal compensation for financial, emotional, or personal damages that result from a brain injury that was caused by the negligent or reckless behavior of another party or individual. Our Salt Lake City brain injury attorney Lynn Harris is experienced in representing victims’ rights in brain injury cases. A fall: Falls are the most common cause of brain injury. This may include falling down the stairs, falling off a ladder, or slipping in the shower. A slip or fall is likely to result in a person landing on his or her head. A blow such as this can jostle the brain, potentially causing a concussion, internal bleeding, and/or swelling. Automobile accidents: Automobile accidents are another common cause of brain injury. Whether a person is a driver, passenger, or pedestrian involved in a collision, the force involved in these accidents can greatly damage the brain. Sports injuries: Sports, particularly contact sports or those that are high-impact, often result in blows to the head or falls, both of which can result in brain injury. Brain injuries related to sports are especially common in children. Explosive blasts: Being in close proximity to an explosive blast can result in brain injury. This is most likely to be the cause of injury for military personnel, although it can also be a risk at some work sites. Violence: A violent attack may involve a hard blow to the head, jostling the skull (such as in shaken baby syndrome), or even a penetration of the brain with a weapon such as a knife or a bullet from a gun. Roughly 20 percent of brain injuries are the result of violence. The effects of brain injury will likely require costly, potentially lifelong medical treatment. A brain injury will also likely result in a temporary, or even permanent, inability to work, as well as pain, suffering, and emotional stress. 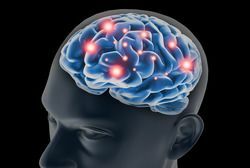 A victim of brain injury may be due financial compensation for all of these damages if the brain injury was caused by recklessness or negligence. Lynn Harris can ensure that a victim’s rights are protected in the case of brain injury. In personal injury cases, it is vital to act before the statute of limitations has expired. If you or a loved one has suffered a brain injury, contact us as soon as possible to discuss the details of your case and learn if you may be due financial compensation for damages suffered. We look forward to working with you.